Preheat the oven to 400 degrees. 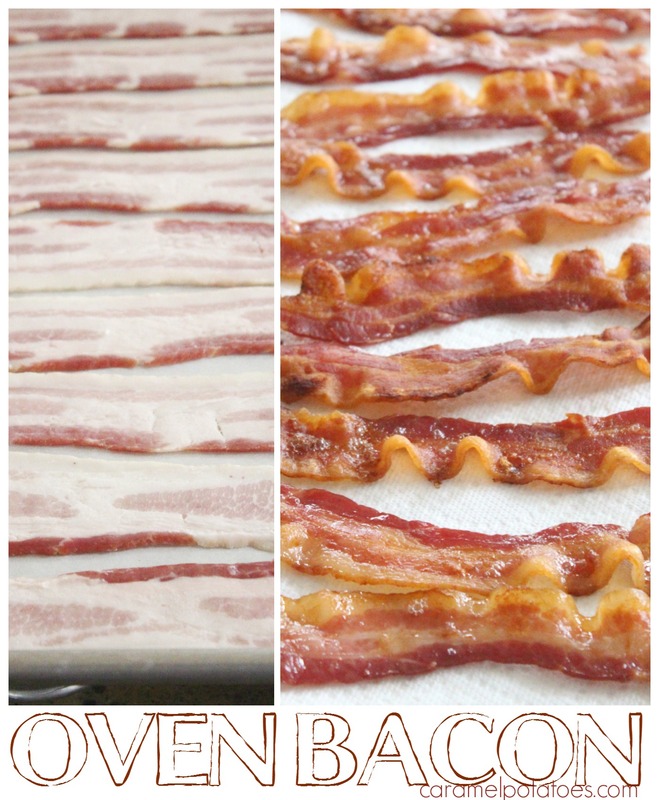 Line a baking sheet with parchment paper, then lay the bacon on the parchment, making sure the bacon strips do not overlap. Bake until crisp and brown, about 15-18 minutes, or rotating the baking sheet once to ensure even baking. Transfer bacon to a paper towel-lined plate to drain. Notes: I usually fit about nine strips of bacon on a baking sheet, but that will depend on the size of your pan. I have another tray ready to go in when one comes out. 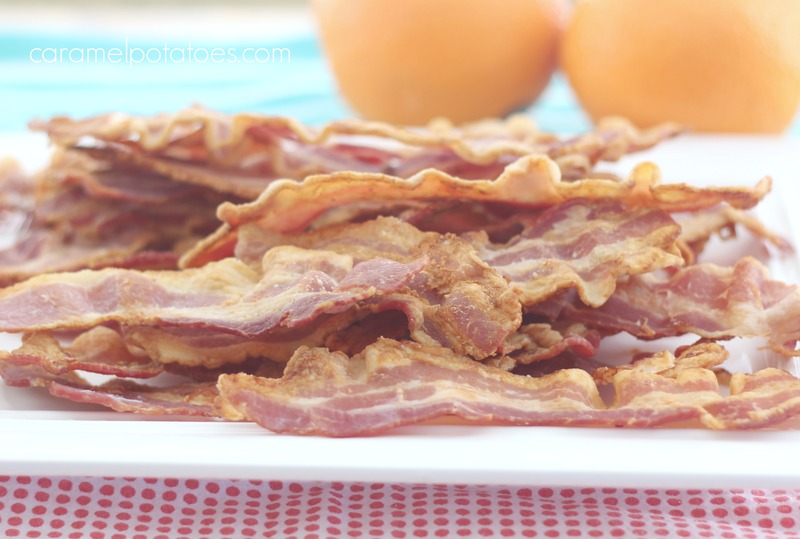 The baking time will also vary with how thick your bacon is and how crispy you like it.